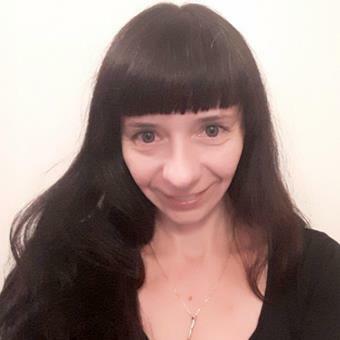 Edyta Just is associate professor (docent), senior lecturer and director and coordinator of InterGender Consortium and Research School in Interdisciplinary Gender Studies at the Unit of Gender Studies, Department of Thematic Studies, Linköping University, Sweden. She is also a board member and a former co-chair of ATGENDER, The European Association for Gender Research, Education and Documentation and a co-chair of the strand Feminist Pedagogies, Didactics and Education in the research field of Feminist Studies and Education of GEXcel International Collegium for Advanced Transdisciplinary Gender Studies. She holds degrees in political science (MA) from Lodz University, Poland and gender studies (PhD) from Utrecht University, the Netherlands. offers a research training meeting the needs of first-, mid- and last-phase PhD students. InterGender is organized to ensure the quality of the research performed by the students, as well as the development of the training programme they undergo. GEXcel International Collegium is a meeting place for excellent gender researchers, and aims to develop transnational, intersectional gender research. GEXcel is a collaboration between Linköping, Karlstad and Örebro University. is a broad association for academics, practitioners, activists and institutions in the field of Women’s, Gender, Transgender, Sexuality, and Queer studies, feminist research, women’s, sexual and LGBTQI rights, equality, and diversity. STINT Project, New Tools for Transnational Analysis in Postgraduate Intersectional Gender Research - Towards Long-Term International Collaborations in Doctoral and Postdoctoral Training, Tema Genus, Linköping University; The Bergen Centre for Women’s Studies (SKOK), Norway; Gender Studies, Central European University, Hungary; Gender Studies, University of Western Cape, South Africa. ETICA Project, Ethical Issues of Emerging ICT Applications, European Commission, 7th EU Framework Program. Acume 2 Thematic Network, Interfacing Science, Literature, and Humanities: An Interdisciplinary Approach, Subproject: Cultural Representations of Science and Technology, European Thematic Network Projects. ADVANCE Project, Advanced Training for Women in Scientific Research, European Commission, 6th EU Framework Program. Athena 3 Thematic Network in European Women’s Studies, Working Group: Visual Culture, European Thematic Network Projects. Masther Thesis in Gender Studies (30 ECTS). Gender Studies critically examines the including and excluding processes that follow categorization of “woman” and “man”. The aim is to develop new knowledge to contribute to creating equal opportunities and social justice, locally and globally.